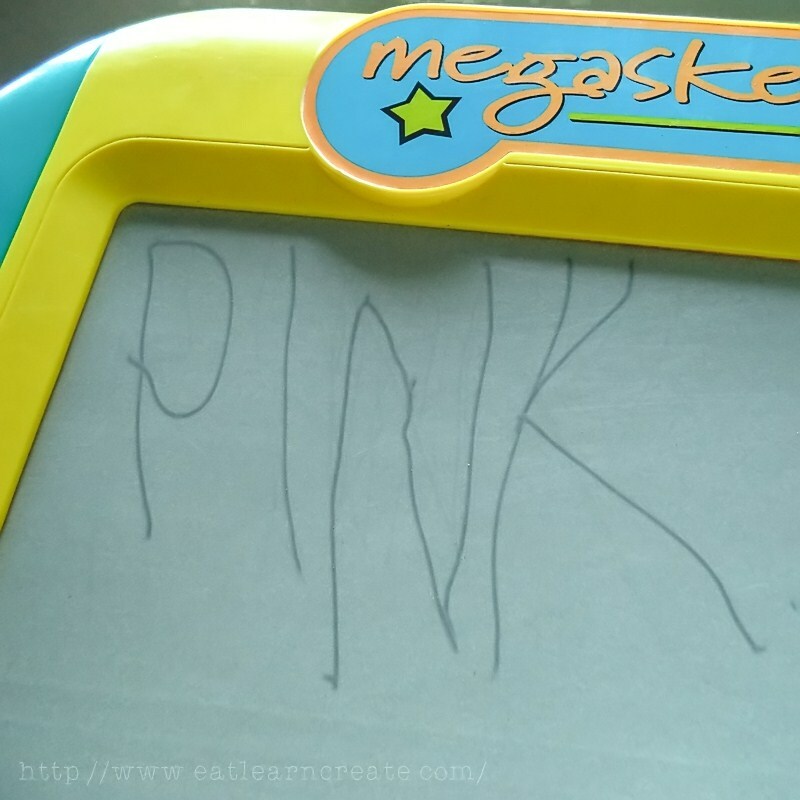 For now, she just loves writing PINK over and over again. Perfecting, I guess! Lol! Good job my princess!